On Tuesday, Medvedev blamed poor security for the deadly blast that killed 35 people and injured more than 100 others. He warned that both the airport management and the transport officials responsible for the inefficiency of security measures at Domodedovo will be punished. The first to lose his post was Andrey Alexeyev, Chief of Interior Ministry's Transport Department for the Central Federal District, who was appointed less than six months ago. "I have signed a decree dismissing chief of the Interior Ministry Transport Department for the Central Federal District [Andrey] Alexeyev," Medvedev told the meeting dedicated to transport security before leaving for the World Economic Forum at Davos. Besides, Interior Minister Rashid Nurgaliyev said the head of the Domodedovo Airport police station and his two deputies were also dismissed. 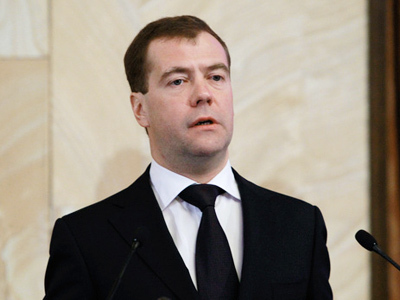 However, Medvedev said that should not be the end of the investigation. He demanded that Nurgaliyev continue with the reshuffling among the interior and transport officials. “The officials responsible for the organization of the [security] process, and I am talking to the government, the Russian Railways, and the Interior Ministry, must be brought to their senses,” Medvedev said. 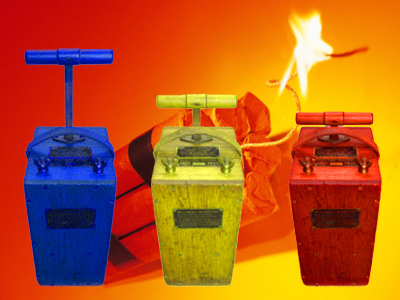 “Those who did not do their job properly must be punished,” he said. ­Medvedev then went on to lash out at the airport officials for trying to shift the blame to the police, calling it “immoral”. “I never want to hear again from the management of major transport enterprises that they are not responsible for this or that,” he said. “If the people who undertake to organize the transport process talk like that, it’s highly immoral,” he added. Domodedovo officials on Tuesday waved aside Medvedev’s accusations of their responsibility for the oversight in allowing the suicide bomber to enter the terminal with the equivalent of five kilograms of TNT and detonate it in the arrivals area. 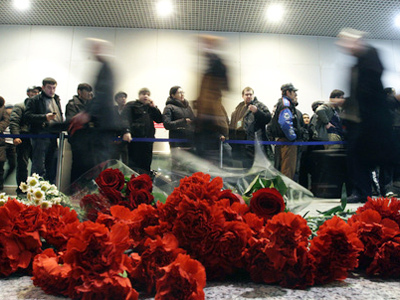 Domodedovo spokeswoman Elena Galanova said that security measures at the airport were not only in order, but also in accordance with the legislation, and that it was the job of the police to provide security in the common areas. Monday’s terrorist act at Domodedovo is the second major accident to hit the airport within a month. 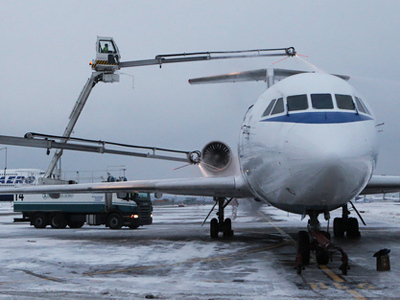 In late December the airport suffered a 12-hour blackout that caused a transport collapse in all of Moscow’s airports. President Medvedev did not fail to point out that coincidence as he suggested Domodedovo might be badly run.